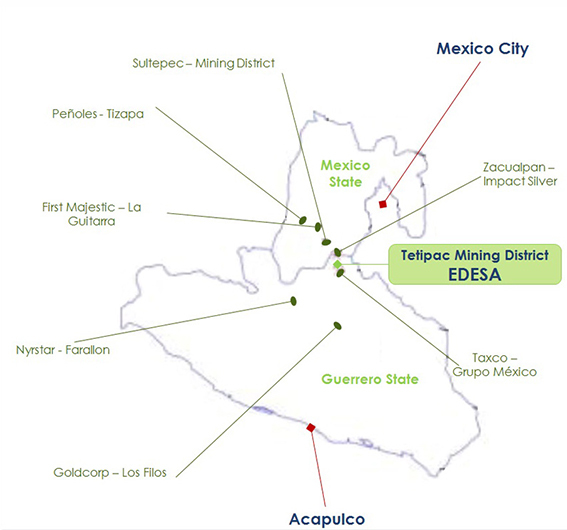 The project is located between Mexico City and Acapulco in the heart of the Tetipac mining district of Mexico’s silver belt. Mining in the Tetipac district dates back to the 1530s when it was actively mined for its rich mineral deposits. 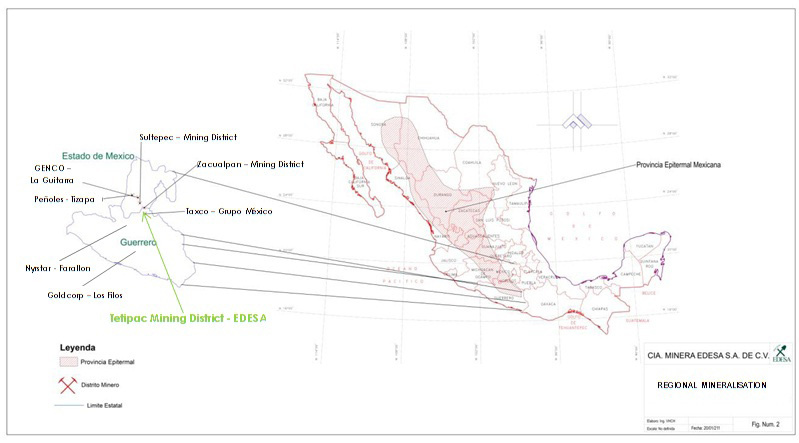 The last exploration in the region stopped in 1983 due to the low silver prices during the 1980’s. The area is surrounded by excellent infrastructure with mine entrances having access to roads, water and electricity.